Motionmaster 3 Axis CNC Router C578 - CNC Parts Dept., Inc.
April 2, 2019 by CNC Parts Dept. 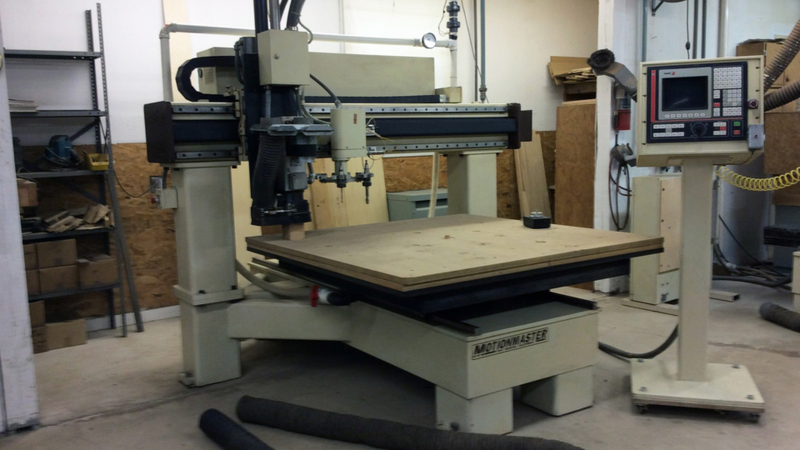 Motionmaster 3 axis CNC router for sale, equipped with a single 5 ft. x 5 ft. moving vacuum table, 12 inches of Z axis stroke, 10 hp ATC Colombo spindle motor, 6 position ATC tool carousel, and Fagor 8050 CNC system controller with hand wheel. 6 tool holders, Fagor 8050 installation and programming manuals are also included. To request a quick quote for this Motionmaster 3 axis CNC router for sale, call Laura at (858) 922-4967 or send us a message!